The legislation includes a federal maritime law waiver for a $75 million fishing vessel stuck in a Washington state shipyard because it was built with too much foreign steel. President Donald Trump on Tuesday signed legislation that includes a federal maritime law waiver for a $75 million fishing vessel stuck in a Washington state shipyard because it was built with too much foreign steel. 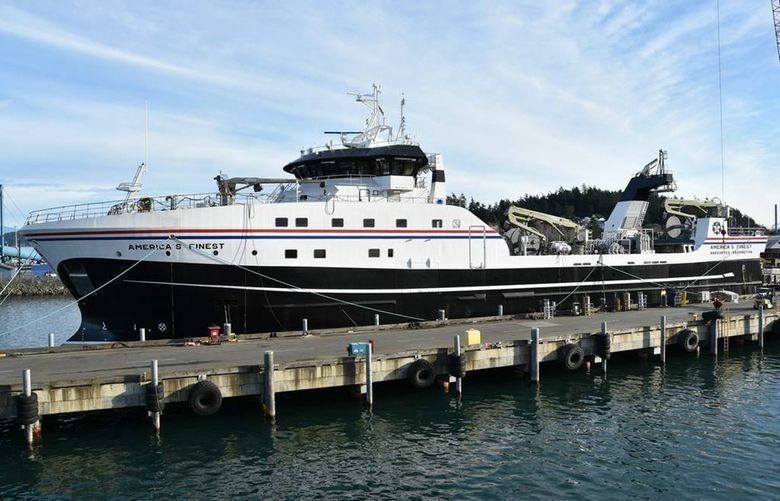 The Coast Guard Reauthorization Act grants the waiver to the 264-foot America’s Finest — a nearly completed factory trawler built at Dakota Creek Industries of Anacortes to fish off Alaska. The vessel’s owner, Kirkland-based Fishermen’s Finest, contracted with Dakota Creek Industries, but the construction shipyard ran afoul of the federal Jones Act because its hull steel was cut and bent in Holland. Dakota Industries shipyard officials have said they didn’t realize that the overseas work was extensive enough to violate the federal law. The legislation offers a kind of conditional waiver, authorizing the U.S. Commerce secretary to revoke the waiver should an investigation determine the violation was intentional. The legislation also includes some fish processing restrictions on Fishermen’s Finest that the company opposed, and fought unsuccessfully to fend off in Congress.